Wondering how to feed your family better while also saving money at the grocery store? Skip the store and start making your favorite pantry basics from scratch. Here’s 11 real food versions of pantry staples like ketchup, mayonnaise, coconut milk, bread, crackers and more that you can stop buying and start making. While making your own ketchup may seem daunting, it’s actually relatively easy (there’s about 5 minutes to mix and up to 5 days to ferment). Ketchup, like many other condiments, finds its roots in the dark and bubbly past of fermentation. It wasn’t the last few hundred years that ketchup that home cooks skipped fermentation in favor of vinegar and water-bath canning. Further, in that time, ketchup also lost some of its unique flavor profiles. Where it was once flavored by spices like clove and allspice, it mellowed into a puree of tomato, vinegar, salt and corn syrup. What you need: Tomato paste, unrefined sea salt, vinegar, raw honey or other sweetener and organic spices like allspice and cloves (I typically by them in bulk online). As this ketchup is fermented, you’ll also benefit from using a starter culture like fresh whey though the brine from fermented vegetables, beet kvass or a purchased starter culture (find them here) will work just as well. I also typically use a special fermenting crock when preparing condiments like ketchup. It’s a simple glass jar fitted with an airlock and you can find them online; however, a mason jar will work fine but is more likely to develop a film of mold at the surface of the ketchup. Recipes to Get Started: My basic spiced ketchup recipe includes both honey and apple cider vinegar. Those new to fermentation often wonder if the antimicrobial properties of vinegar and honey impair fermentation, and the answer is that they don’t – at least in the minute quantities called for. If spiced ketchup doesn’t appeal to you, there’s also several other ketchup recipes included in Get Cultured! and in Nourished Kitchen Meal Plans. Organic coconut milk can be super expensive, plus you have to either contend with cans (that often contain the endocrine-disrupting chemical BPA) or cartons of refrigerated coconut milk which are likewise loaded with synthetic vitamins, emulsifiers and additives. You can make your own from fresh or dry coconut in just a few minutes, and it tastes so much better. What you need: Fresh coconut or dessicated coconut (get it in bulk here) and water. You’ll also need a blender. While a basic blender works fine, if you’re preparing coconut milk often, you might consider a high-powered blender. Recipes to Get Started: Basic Coconut Milk from Fresh Coconuts, Coconut Milk from Dry Coconut. There’s a distinct pleasure that comes from making your own bread – the feeling of the dough on the palms of your hands as you knead a wet mass of flour and water into a manageable loaf, the comforting perfume a loaf of just out of the oven. While sourdough bread offers benefits far beyond that of the regular, whole-grain variety, a loaf of artisan-quality sourdough bread can set you back $6 to $7, but you can make it at home for about $0.65. What you need: A good loaf of bread requires nothing but flour (I typically use high extraction einkorn flour but bread flour and sprouted flour also work), unrefined sea salt and a source of yeast. This yeast might be packaged baker’s yeast you find in the grocery store, but a natural sourdough starter will offer a more complex flavor coupled with greater health benefits. Recipes to Get Started: No-knead sourdough (but do note that if you endeavor to make it, you must also use my recipe for sourdough starter or your hydration levels will be off). Classic sourdough rye bread, Milk and honey bread with sprouted wheat. For those who are gluten-free or grain-free, you might try this coconut flour bread. Making crackers is one of my favorite activities. Though it’s a bit more labor intensive than the other foods included in this list, the buttery goodness of a fresh cracker still warm from the oven is an unparalleled joy. Many commercial crackers are dry, flavorless and even natural crackers can contain a slew of additives that are better left out. Plus, when you make crackers at home, you can flavor them as you like it: a bit of cinnamon and honey for a sweet cracker, dill and yogurt for a savory cracker. What you need: To make crackers you need flour (sprouted flour if your crackers will not be soaked), salt and a source of good-quality fat like olive oil, coconut oil, butter or ghee (and if you’re not sure which is best, read my take on healthy fats). You also need a rolling pin to roll your crackers very thin so they’re flaky and not tough, as well as a sharp knife or pizza cutter to cut the crackers. A good quality baking stone is also helpful. Recipes to Get Started: Yogurt and Spelt Crackers, or even these easy grain-free crackers if you’re on GAPSTM. Sally Fallon Morell, author of the landmark book Nourishing Traditions and the founding president of the Weston A Price Foundation, cites making your own salad dressing as one of the most effective first steps you can take toward a healthier diet. It’s no wonder why, most store-bought salad dressings (even organic salad dressings) are loaded with unhealthy fats and additives. Plus making your own is incredibly easy – usually taking only about five minutes. What you need: Unrefined extra virgin olive oil, cold-pressed nut oils and vinegar or citrus juice can make a super simple dressing, but you can also add onion, shallot, garlic, herbs and enrichments like tahini, egg yolks, buttermilk, miso or homemade yogurt. Whisk these together and store in the fridge or on the kitchen counter if it’s a simple vinaigrette. Recipes to Get Started: Super basic vinaigrette, honey mustard dressing or homemade ranch dressing. You will also find loads of basic salad dressings in Nourished Kitchen meal plans – roasted shallot dressing, fig and honey dressing, roasted tomato dressing, caesar and more. Similar to salad dressing, most store-bought mayonnaises are prepared using vegetable oils which have a high omega-6 to omega-3 ratio and whose fragile polyusaturated fatty acids do not stand up well to the modern high-heat extraction process required to make them. For this reason, it’s wise make your own – and it comes together almost instantly. What you need: I typically make my mayonnaise with olive oil, vinegar or lemon juice, egg yolks and a pinch of salt. If you’re making a fermented mayonnaise, you’ll need to add a starter such as fresh whey, the brine of fermented vegetables or a purchased starter. If you don’t care for the strong flavor of a pure olive oil mayonnaise, you might try a combination of olive oil, bacon fat or coconut oil (get some here). Recipes to Get Started: Try wasabi mayonnaise or cultured mayonnaise, and if you’re still stumped, check out these video recipes from Mommypotamus and the Real Food Forager. 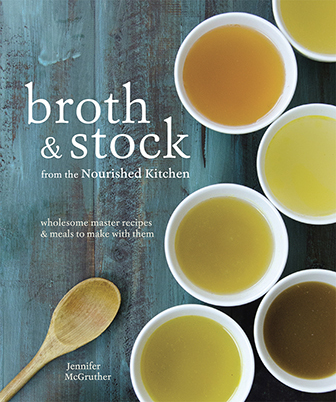 As long-time readers know, I’m a big advocate for homemade broths and stocks. Bone broths support the adrenals, bones and teeth. They also provide your body with easy-to-assimilate minerals and amino acids, and even clinical studies support the healing power of old-fashioned broth. Further, broths and stocks are some of the most cost-saving foods you can prepare at home. Commercially prepared stocks at your local health foods store can cost upwards of $6/qt, but made at home they’re almost free. What you need: Bones, the frame of a roast chicken, a fresh chicken and water make the easiest stock. You might also add vinegar or wine to better extract minerals from the bones, or vegetables and herbs to flavor your stock. You’ll also need a large stock pot or a slowcooker (if preparing perpetual soup). Recipes to Get Started: Bone Broth from a Roast Chicken, Perpetual Soup: The Easiest Way to Make Bone Broth, Fresh Chicken Broth, Asian-style Chicken Foot Stock, Homemade Beef Stock. As with ketchup, traditionally pickles were prepared through fermentation and it is only when water-bath canning took hold as a food preservation method that home cooks began to favor vinegar pickles rather than pickles that acquired their sourness through fermentation. Fortunately, making pickles is relatively easy. What you need: At its most basic, a fermented pickle requires little more than cucumbers, salt, water and time. You might also add pickling spices, garlic, horseradish, hot peppers or dill to the mix. Some cooks prefer to add a starter culture to their pickles, but it is not typically necessary. Recipes to Get Started: This is my standby recipe for sour pickles. Yogurt and kefir are easy to make at home, requiring only a few minutes of mixing (some heating in the case of yogurt) and up to 24 hours to culture. As a result you can prepare yogurt at home and save about $4 to $5 / quart over purchasing store-bought varieties. Moreover, many store-bought yogurts are made with low-fat or skim milk and, to make up for the lack of texture and flavor provided by wholesome fat, manufacturer’s substitute additives to give the illusion of a real yogurt. Make it at home and you can skip the additives, and mix in the flavors that suit you. What you need: To make yogurt at home you simply need milk and starter culture (which you can find here or at well-stocked health food stores), you’ll also need something to keep the yogurt warm while it cultures. This can be a dehydrator, an oven with the pilot light on or a yogurt maker. To make kefir, you need milk and kefir grains (you can find them here) and a jar or bottle. Recipes to Get Started: Matsoni (the easiest yogurt you’ll make), Raw Milk Yogurt, Milk Kefir. If you’re dairy-free, try this coconut milk yogurt. My husband and son pour hot sauce over just about anything, but I prefer to make it at home. Hot sauce is a traditionally fermented food and many commercial hot sauces are still fermented before being mixed with vinegar and pasteurized. If you have a glut of hot peppers in your garden, take the time to make your own hot sauce (and hot chili paste). What you need: At its most basic, a fermented hot sauce recipe requires little more than salt and hot peppers; however, I’ve had better success with recipes that also use a bit of starter culture to speed up fermentation, a bit of sugar to feed the microbes (this is metabolized by the bacteria and very little, if any is left in the final product), and a bit of garlic to deepen the flavor. Recipes to Get Started: We make this fermented hot chili sauce quite often. What other pantry basics do you make from scratch? Great post! I love that you have so many pantry staples all in one place. This is really helpful for a real food newbie like me. I do have a recipe (2 actually) for tomato paste. I’m waiting until tomato season is in full swing so I can post them with lovely, lovely photos. I love this! Awesome post, very useful! When tomatoes are on sale I buy lots of them and then plan on a roast for dinner so I can use the heat in the oven for both. I store the frozen roasted tomatoes until I have enough for a round of canning in 1/2 pint jars. We use a lot of tomato sauce! So if I have made fermented sauerkraut, the brine would be the juice that’s it’s in right now? Vanilla, soda syrups, beer, hard cider, applesauce. The vanilla and applesauce are the easiest. Thanks, again! I love soup and with the new broths….all my soups will be healthier and much more flavorful! Cool. You can serve a traditional McDonald’s like meal with homemade sourdough bread/buns, homemade fermented ketchup, homemade fermented pickles, homemade mayo, homemade dressing (Secret Sauce). Just add pastured beef and raw milk cheese. A lot of families with kids will love this. It will allow them to eat the traditional foods of our culture but healthier versions. great idea! i want to try the cracker recipe and i think getting them evenly thin will be a snap with the pasta roller, thanks. I can my own stuff, buying as organic as I can. I make my own spice mixes instead of buying them. I dry many of the herbs for them myself from my garden. I love this article. I am totally going to conquer ketchup! I make all our bread products, donuts, mufins, cookies, bread, flatbread, etc. Mustard! I have a great recipe for Creole Mustard — pint jar, 1/2 cup each whole yellow mustard seeds and cracked brown mustard seeds. Place in jar, and fill with distilled white vinegar. Let soak over night, dump in food processor with an extra quarter cup or so of vinegar, and wallop until thick. This is what local New Orleans mustard USED to be, until the companies were bought out and things like “alginates” were added. I’ve been wondering if one could soak and ferment the mustard seeds to get the vinegar tang without the vinegar. Thanks for this tip. I just found that I had tons of mustard seeds and wasn’t sure I would use all of them for canning. Now I will try homemade mustard. I had never thought of it before. Rice milk. Mushy white rice and a little water and vanilla in the blender. You have rice milk. Ta-da! And I think the recipe for rice pudding is very similar, but without the blending and more sugar. Salsa, white sauces, and spaghetti sauces as well. Granola. Jam and peanut butter are crazy easy too. I make a lot of hummus. Don’t buy biscuits in a can. They take about 2 minutes to mix together. Great post! (And great comments too!) One thing that I always make myself a la minute is tahini. The stuff that you buy in jars is often a bit stale. Instead I roast whole sesame seeds in a dry pan and then grind them very finely in a coffee grinder (that’s only used for other things than coffee). So much better! a few years ago, i came up with the same idea while making hummus and discovered i had no tahini! everyone thought it was the best hummus they’d ever had – fresh tahini is awesome. thanks for the reminder, i’m so doing that again. Almond Milk. You need soaked almond, dates, filtered water and a nut bag, VitaMix. Taste yummy, super easy. Also, you can make farmer cheese (Quark, Twarog). Mustard, salsa, sauerkraut, vanilla extract, pressure-canned beans! Salsa Verde. Canned, with tomatillos and grilled chili peppers. We make gobs of it every summer. (Jenny’s cultered salsa is wonderful for fresh foods, but who wants to kill all those great beasties by cooking them?) We put it over a pork roast in the crock pot and cook it down all day – makes a wonderful winter dinner over soaked rice or my favorite, sauteed kale. Also good for poaching fish or shrimp on the fly. Also kombucha, kefir, and our favorite cultured veggies, Italian giadiniera (cauliflower, carrot, celery, red bell peppers, banana peppers). How do you can the roasted tomatoes? Same as usual? I have a ton out in the garden and need to take care of them this weekend….roasted sounds much more savory! Awesome, post! This is definitely one of those bookmarked for lots of future reference. Thank you! All you need is cream and a hand mixer. Or I suppose you could do it in a standing mixer. And while you’re doing that, you’ve got your own homemade buttermilk. I made my own butter in a mason jar. My kids and I took turns shaking it. Well I shook it after they got tired of it. It only took about 10 minutes or so. Plus you get the arm work out! Love this post! 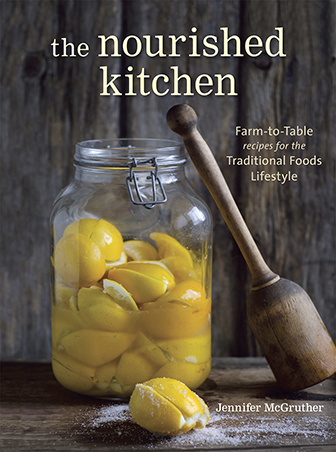 Excellent information and fabulous recipes. Mustards, sausages, jerky, fruit roll ups, simple cheeses (mozzarella, goat cheese) really anything!! I make it all from scratch as I’m allergic to most processed foods, wheat, rice, garlic, onions, turmeric, paprika, and more. So, we make most things from scratch. You’ll have to excuse me if I sound like a crazy, desperate lady but, I have a child who is allergic to everything except Pigweed and Dogs. When I read you post I got so excited. Where did you find your recipes? I have been looking for a tasty Sausage and a good cheese recipe. I have a friend who has offered us fresh goat milk for cheese but, his cheese is too tart. We do use goat milk instead of cow milk or we use almond milk as my daughter is allergic to soy and cow milk solids. I make homemade chocolate syrup. I love chocolate milk. Its super easy to make. Cocoa powder, sugar and water. Kombucha & Homemade soda. I use water kefir to make super-bubbly juices (like sparkling grape juice that is so expensive in the store). I “burp” the bottles and let them ferment longer during the second fermentation so it’s no so sweet. I recently made tepache using leftover organic pineapple rinds. YUM! Once you get started, Kombucha is so easy; mint berry is my favorite flavor. Misha, sounds delicious – especially the mint-berry! I’ve been doing raspberry-ginger kombucha, and we love it. Not so much luck getting the soda kefir fizzy though. Any suggestions? So far, using canning lids. Do I need a special lid? We make our water kefir fizzy by putting it in Grolsch/flip-top bottles. They are expensive, but so worth it IMO. You can find them at beer making supply stores. Agree, those bottles are what I use. I got them at a beer/wine-making shop. I’ve also seen them online. You can add a bit of sugar to give the yeast something to eat during the second fermentation. If you want REALLY fizzy, try adding grape juice or grape juice concentrate, but be very careful. Remember to burp your bottle. IKEA carries them and they are so cheap I use them chocolate syrup. I get my grolsch bottles from a local bar, they keep the empties for me, I wash and steralize them! Made a really yummy Kefir with cranberries, a few dates and a few prunes and a lemon peeled!! Just place water kefir grains in any sugary liquid (try grape juice first…it’s easy). Once you start to see little bubbles, remove the water kefir grains, put the juice in a grolsch style bottle, and let it sit 8 hours. Carefully open and see if it’s fizzy enough. If not, seal it back up. Don’t refrigerate until it’s at the fizzy level you prefer. CulturesforHealth has great videos. Hi Helen. Water kefir grains need lots of sugar. I leave the grains in there until the sweetness goes down a bit. To make it easier, I put the grains in a fabric tea bag, so I don’t need to strain (just take the bag out, rinse the bag, and pop it in the next solution or juice). Then I bottle the strained liquid into (flip-top wire lid bottles) and let go through secondary fermentation. The yeast continue to eat the sugar. I just burp the bottles often, tasting until the sweetness is to my liking (it gets less sweet over time). Then I place it in the refrigerator. Remember, the sugar is for the kefir, not for you, so use more than you like. I hope this helps. For the Tepache, just fill a pitcher with water, a bunch of rinds from an organic (or yeasts probably not present) pineapple (don’t scrub it clean, you need the natural yeasts from the rind), sugar (remember it will lose it’s sweetness, the yeast need the sugar to thrive), a couple cloves and canella cinnamon (optional). Cover with a cloth and rubber band and let it sit until you see it getting a little bubbly at the top.. Then strain & bottle for second fermentation until it is at the sweetness you prefer (may take 1-2 weeks). Enjoy! Cereal made from a blend of whole grain flour and ground sprouted legumes, and milk (great way to use soured milk)….and Canned tomatoes…..I buy tomatoes at their peak and roast them before canning to enhance the flavor. Can’t believe I missed nut butters! SO EASY and so wonderful. Granola is also a great, easy thing to make. I use Alton Brown’s recipe: http://www.foodnetwork.com/recipes/alton-brown/granola-recipe/index.html and substitute the add ins (such as coconut oil for canola oil, or throw in extras like flax seed, dried blueberries, etc). It’s great crunchy chunks and tastes delicious with homemade Greek yogurt (all you have to do for that is strain the yogurt from one of the recipes provided for 4-6 hours in the fridge). Excited to try these recipes!! Love these! And I’d add in home-made vanilla extract, yoghurt, soft cheeses, bacon, and chicken liver pate. Re: getting water kefir bubbly enough – try using swing top bottles, and make sure you change the rubber gaskets regularly to keep in the bubbles. I find adding fruit – either lemon, lime, berries or juice – makes it bubblier. All the above, plus sun-dried tomatoes, dried herbs, stevia extract, “shell” topping for ice cream, spaghetti sauce, pickle relish, water and coconut kefir, creme fraiche, salsa, tortillas, fruit leather…the list of stuff I don’t make is much shorter than the list of what I do! I make vegetable stock regularly, save my organic vegetable skins….onions, carrots, celery roots, etc. and freeze them. When I want to make vegetable stock (especially in winter), I toss a bunch of frozen veggies into water and add whatever herbs I want from my garden (frozen or dried works too): savory, chives, basil, oregano. Simmer for an hour or so, strain out veggie parts and use for a vegetarian soup base or stock for rice & more vegetables. some wonderful ideas here. thanks for the inspriation. i make wine vinegar from leftover wine (i serve it at gatherings, but don’t drink much myself). then i use it in dressings and sauces. also makes a nice gift to include in a food gift basket. I never even thought about making half of the things on here! I’m going to try the crackers for sure. We love hot sauce so I might have to try that one too! In addition to making everything on your list (except the hot sauce) at home, I make our own corn tortillas, flour tortillas, nut milks, nut butters, and ice creams. We love your ketchup recipe, too, and make it regularly. Everything is so much better homemade! Thanks for the great article! You inspired us to make ketchup. We have an abundance of tomatoes from friends and food pantries. Boiled ’em all down into 3 cups of Tomato Paste!! That took quite a bit of tomatoes. Two Vitamix blender bells full. We inoculated it with pickle brine. Smells sooo good. We just made it yesterday, so it’ll be a few days before it’s ready to eat. I can’t wait. The first time I’ll ever try ‘Real’ Ketchup! I would also love to make the mayo. Sounds wonderful. Funny, I always thought, by the way mayo looks and tastes, that it had milk or cream or something in it. Just eggs ‘n oil eh. Over the last year we have slowly switched to a traditional diet, with NO packaged foods, other than cheese or eggs. While this has improved our health it has sent our food allowance through the roof. We are in alaska and food just seems outrageous. I make all that I can and it has actually cost us more, not saved us anything except we have NO doctor visits. We are all well and healthy! Raw egg for mayo: does the whey counteract any risk of salmonella? no one ever mentions the danger of raw egg. I know you can used pastureized but we have our own duck eggs. I would love to try our own mayo. I make it w/ our fresh chicken eggs and don’t worry a bit. I gather eggs daily so they are definitely fresh, the dirty ones go to the dog or pigs, and our birds are healthy. I think the whey def helps though. I also use raw Apple cider vinegar for flavor and microbes. I say enjoy your duck mayo! I love these recipes and many others on this site. I just do not have any time to hand-copy these. Why can’t these be copied and pasted into my Word files? When I want to copy what is posted: I highlight what I want to print; Click the Ctrl key and the P key; the print box pops up; I click on selection (not page) and it prints for me. Vanilla extract, almond milk, and granola bars are all simple and easy! This was great info, thanks! I use Kitchen Stewardship’s method of making yogurt, and I really like it. Love this! Thanks for the inspiration. I regularly make my own broth, mayo and salad dressings. Have tried pickles and crackers but they haven’t worked out so well. Would love to start making my own hot sauce. Love all these ideas! Can’t wait to try the ketchup recipe. A group of local homeschool moms recently got together to start making our own items monthly. Some products that we’ve done & are planning on are: bug spray, soap, deodorant, cleaning spray, vanilla extract, lip balm, and perfume. So exciting! I also make my own gf bread, yogurt, kefir, kombucha, lotion, caramel (major learning curve on that one! I burnt it or myself several times before figuring it out), and toothpaste. Most perfumes contain a huge number of carcinogens so making your own will help the world be more healthy and those of us who are chemically sensitized really suffer from the petroleum distillates in perfumes. I think vanilla smells wonderful. What a great post. I already make some of those things, and of course the things I make I consider so straight forward why would anyone buy them? Yet the things I haven’t tried are still intimidating – kefir is the next thing on my list to try, and fermented pickles. These are great ideas although I’ve made the exact mayonnaise recipe you suggest and my family did not like it. It is far too bitter with straight olive oil. Check out my recipe for Organic, omega-3 rich, lacto-fermented mayonnaise. It has an amazing flavor profile and is incredibly healthy. I just checked out Hestiasway.org, it’s wonderful. I really resent what the government has allowed to be perpetrated against us. The Food and Drug Administration are criminal in the dereliction of duty allowing so many life altering products to be used in our every day products/foods. The altering of our foods chemically and genetically will have a huge impact on the human race. They are promoting our ill health. I’m thrilled that all of the posts here are people who are intelligent enough to try to get away from chemicals and artificial additives and preservatives. Hemp milk, coconut milk and butter (from cow’s or goat’s milk) are all easy to make. You can easily make your own “refried” beans: take a can of pinto (or black) beans, rinse/drain and put them in a saucepan on the stove. Puree with an immersion blender (if you have one, otherwise use a regular blender). Add some salt, fresh or roasted garlic, and other spices to taste. I often just throw in a couple of sp0onfuls of my favorite salsa in to flavor if I’m being REALLY lazy. Heat it up-if it’s gotten too watery from tomatoes or salsa, let that simmer out a bit. There’s not an ounce of fat or preservatives, and you can make it as spicy as you want. Also works as a bean dip on tortilla chips if you add lots of extras like the garlic and spices. I’ve been making my own jam and never bought sugar-laden commercial version again ever since 🙂 homemade jam is easy to make, delicious and healthier, especially if the fruits happen to be in season! Homemade kefir is super easy, kefir grains are not even required, just buy once live kefir and use one spoon to start the next batch. I do that for 10+ generations of batches. What’s Happening i’m new to this, I stumbled upon this I’ve found It positively useful and it has helped me out loads. I hope to contribute & aid other customers like its helped me. Great job. I made lacto fermented ketchup with a similar recipie. I used whey- and there is a white film on the top of the ketchup…. is it still good? Can I scrape it off? Ruined???? Any advice would be helpful! Thanks!!! Beer, and sauerkraut. I make the beer from malted barley, hops, and yeast. I ferment it and rack it into 5 gallon soda kegs. I make10 gallons at a time. Oh and I also make soy milk and hand forged ironwork. I am looking to buy a masticating type juicer – any recommendations? Sauerkraut, like some of the others do. And salad dressing. In several stores here you can buy a bottle that has the ingredients and quantities for different dressings listed right on the bottle in which you mix it. Very handy. I love the idea about making my own ketchup, but buying organic tomato paste in a glass jar is SO EXPENSIVE, & I don’t want to use BPA-lined cans of paste. Any ideas, anyone? he actually bought me lunch because I stumbled upon it for him. Thank you for all this great info! I make yogurt and kombucha regularly and had no idea all the other things you could do. I want to try ketchup next. Can I use the whey from the yogurt to ferment the ketchup and other veggies? Great article! I have also been trying recently to stop buying many processed foods like sources, mayonnaise or soups and prefer now prepare them myself. Not only they taste better but are so much more nutritious! Apart from that they don’t contain any preservatives – which is another major health benefit. It now takes more time to prepare meals, but it’s definitely worth it! I have all of the above but also cat food, ricotta, cottage cheese, paneer, mozarella, granola, English muffins, tomato sauce, salsa and beauty products such as toothpaste and deodorant. I also make my own laundry soap. Has the price of Einkorn wheat gone up so very much between 2012 and 2015? You state you can make a loaf of bread for $0.65. Currently, a pound of Einkorn flour (roughly the amount needed to make a loaf) using your source for bulk purchases of flour or wheat berries, is between $2.60 and $3.00 a pound. I haven’t bought “Bisquick” in years. I make a “mix” up and it serves as my pancakes, biscuits, muffins, and quick bread base.